Philo (population 1,314) is located in east-central Illinois about 6 miles southeast of Champaign. The town was platted in the south-central portion of Champaign County in 1864. Illinois Route 130 is the main roadway leading to Philo and it intersects with County Highway 18 in town. The Black Slough Creek flows to the south of Philo. The Norfolk & Western railroad travels through the north side of town. The town was named Philo after the first name of the person who platted the town, E.B. Hale. "The village of Philo, of considerable importance, stands on a beautiful location, situated on the Toledo, Wabash and Western railroad. It was laid out in 1864 by E. B. Hale, the son of Philo Hale, and includes 80 acres of land. Elam Ellithrop built the first house in the village, and Wright built the second, and he was also the first station agent for the Toledo, Wabash and Western railroad. B. C. Morris, M. D., was the first physician; he was the first to sell goods also; he built the first hotel. The town contains one school-house, two churches, two elevators, one mill, one dry goods store, three grocery stores, two drug stores, two hardware stores, two hotels, three blacksmith shops, one tin shop, two harness makers, lumber yard and livery stable." 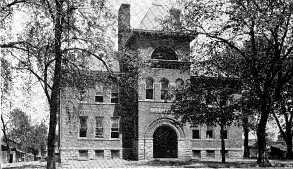 http://champaign.illinoisgenweb.org/schools/philo1908.html . 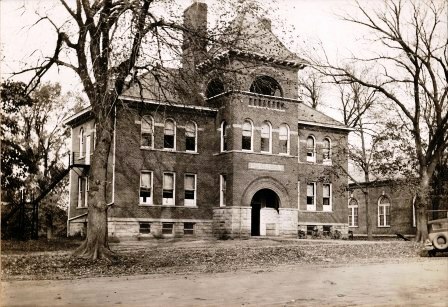 A photo of the original Philo High School building was also located on the same rootweb website and can be viewed at http://champaign.illinoisgenweb.org/photoalbum/schools.html . Philo High School served the community for over five decades. The late 1940s brought with it many changes in the way schooling was supported in Illinois. The consolidation push of the smaller school districts came to Philo and the surrounding communities at that time. After the 1949 school year the townspeople of Philo joined the efforts of several communitites in the area to form the Unity School District. The high school for the new district was located in Tolono. 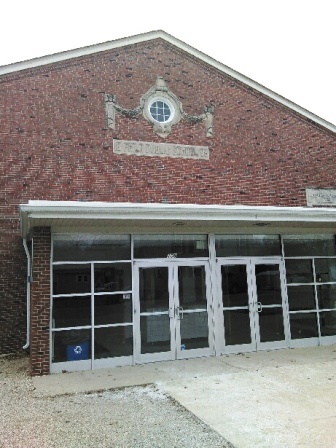 "After Philo HS merged with Tolono and formed the Unity (Unit 7) school district, the building was used for elementary grades. 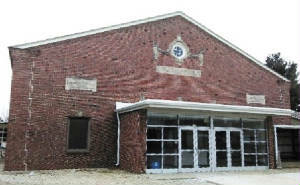 When Unity East was built, the Philo HS building, the Philo grade school, and the land were all sold to the Village of Philo. This was around 2001. The HS building that you have pictured on your site was then torn down, and the adjacent elementary school building was converted to Village offices." 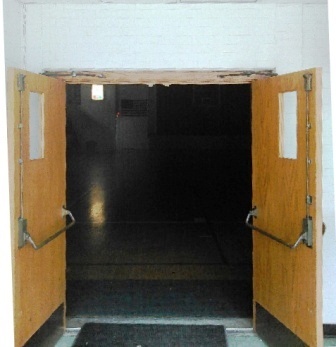 Philo High School had one season where it earned an IHSA District title in State Tourney action (www.ihsa.org). We believe the school competed in track and baseball as well. As you can see in the "quick facts" portion, we are missing a lot of information on the Philo HS particulars. School team nickname, team colors, school fight song, as well as coach's names and team records of the better Philo teams, all are items being sought. 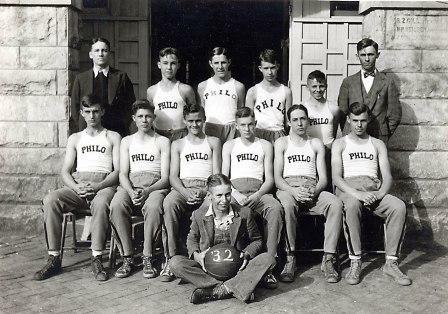 The boys basketball program at Philo High School probably had many great seasons, however only one is mentioned on the IHSA website (www.ihsa.org). The boys of 1943-44 won a District title! Unfortunately the team record and coach's name of this group is not currently available. Scores found on the website titled "Illinois Postseason Basketball Scores" are listed below. 1922-23 through 1931-32 Postseason scores, records, and coaches' names needed. *Final game for Philo High School. 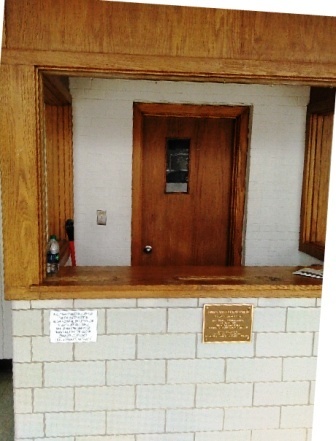 Became part of the Unity School District in Tolono in the summer of 1949.